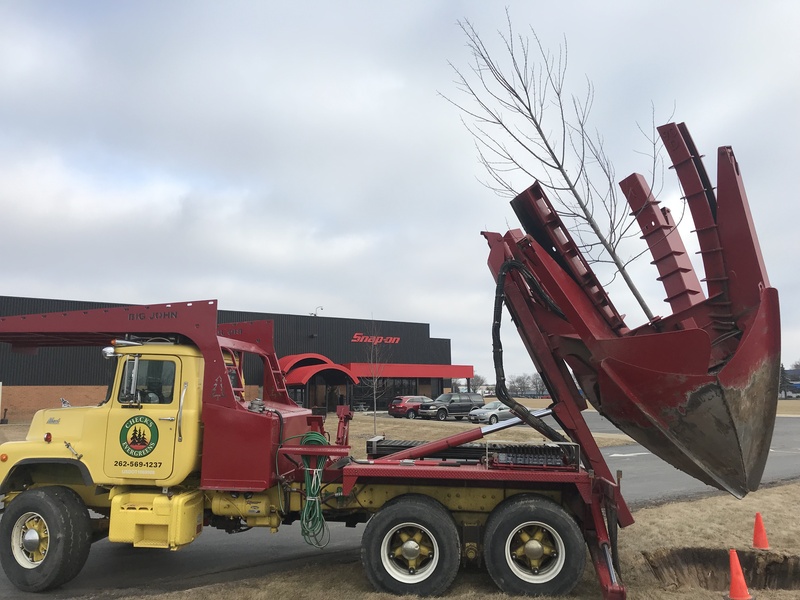 Check's Evergreens | Oconomowoc, WI | Bringing Nature Home. 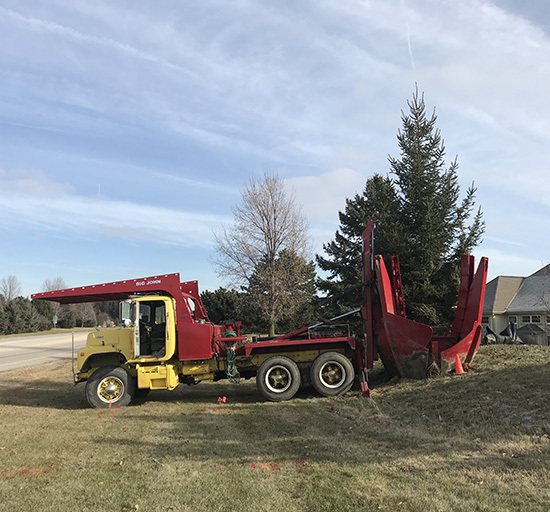 90 inch or 65 inch tree spade truck service for installation of larger evergreens and deciduous trees. Balled and burlapped or potted trees available to be shipped to your address or picked up at the farm.
" Let's make your landscape beautiful and green! " Our experts will come to your site to discuss layout and offer insight on the best suited trees for your property. Our natural mulch can be delivered directly to your site. We offer double-ground hardwood, shredded bark, and playground chips. If you have additional questions than those address below, please give us a call! Yes. It’s important that newly transplanted trees receive regular watering for optimal health. The rule of thumb is to make sure your trees get an average of one inch of water per week well into the fall (when there is frost in the ground). Depending on the soil on your property, your installer may have additional water suggestions for you at the time of installation. What size trees are available? 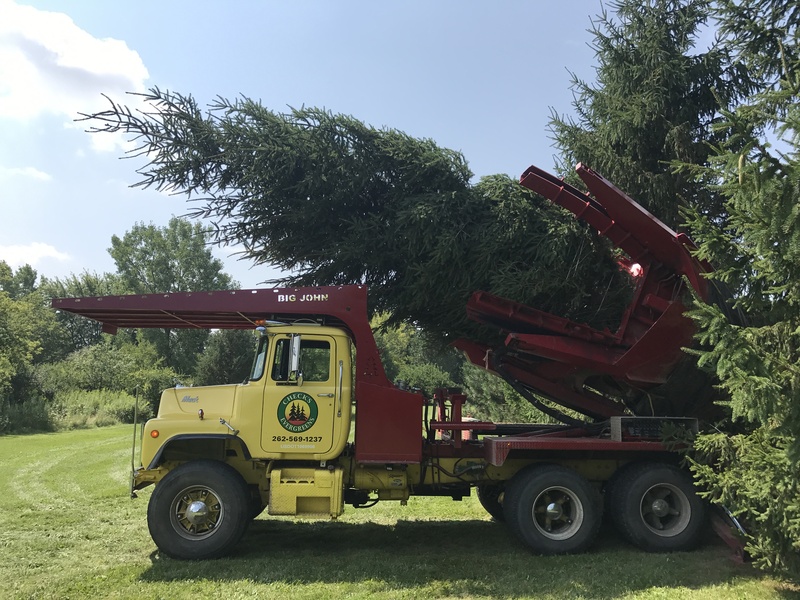 Check’s Evergreens specializes in transplanting evergreens between 6 and 20 feet in height, and deciduous between 3 and 7 inch trunk caliper. Call for details on orders of balled and burlapped or potted trees. Do I need to mulch my trees? Although it is not necessary to mulch your transplanted trees, there are definite benefits. Mulch helps to keep your soil moist, moderate soil temperature, control vegetation growth under trees, and aids in keeping frost to a minimum in winter. 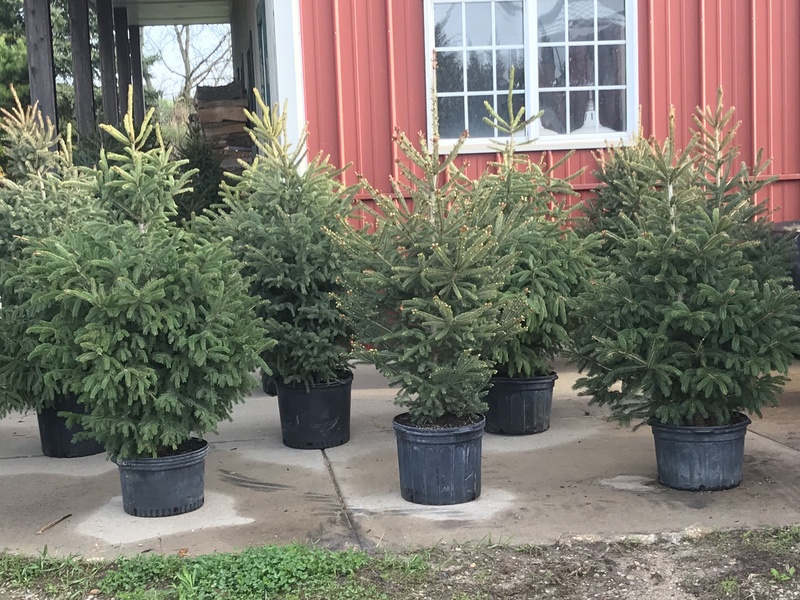 At Check’s Evergreens we continually strive to provide the highest quality tree nursery stock in the Lake Country area. We create lasting relationships built on trust and respect. We get to know our clients and provide recommendations based on a holistic review of each unique property.